All hail the Hemperor! A man of controversial plants, despotism, beer, and elaborate headdresses. Who can resist the Hemperor? So, let’s find out whether the Hemperor’s reign will be long and fruitful. Bottom Line: A undistinguished beer that mostly has a generic, sour IPA taste. Little depth or complexity, and undeserving of its high price. Price: About $14.99 for a six-pack of 12-ounce bottles. The beer itself is a light amber color. Smell: Very light, sweet smell. 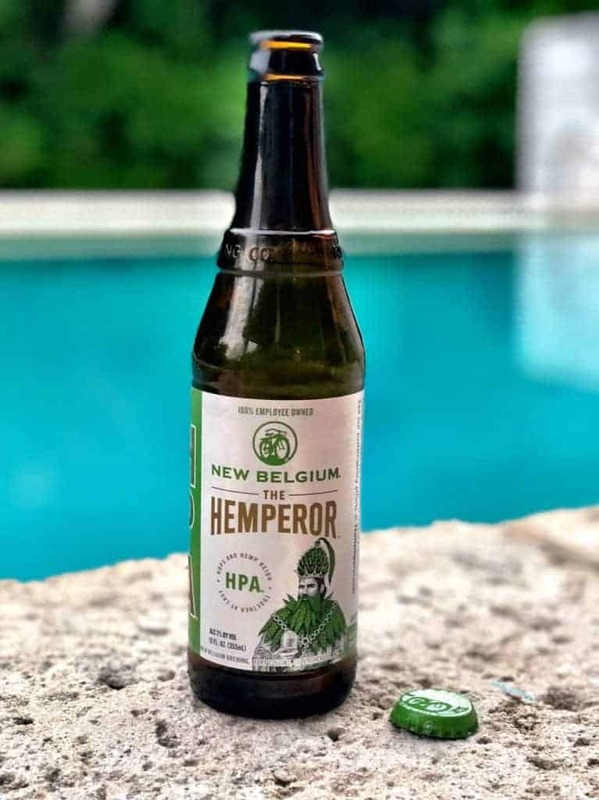 Taste: The New Belgium The Hemperor has a very one-dimensional, generic IPA taste, with little depth or complexity. It’s mainly just medium-high strength sour, grapefruit-type flavor. Maybe there’s a slight note of the hemp, but it’s hard to tell. It’s also got high carbonation, and a light, almost watery consistency. Final Thoughts: For such a cool label (and a high price), the Hemperor is an underwhelming beer that does not impress. It’s definitely a conversation piece (because of the name and label) and a decent IPA-ish brew, but not much beyond that. Drink it if you’re not paying for it. Yeah, this one’s not worth it.